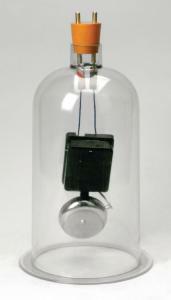 Bell operates on 6–12 volts. Made of tough resistant acrylic, this bell jar is durable enough for years of student use. It is supplied with a rubber stopper equipped with 4mm terminals for input to the bell.